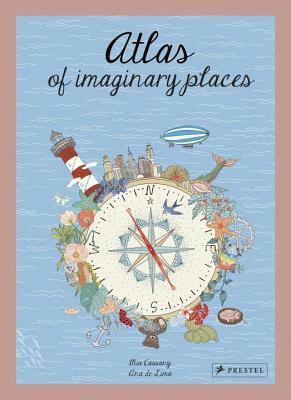 An Atlas of Imaginary Places by Mia Cassany and Ana de Lima an unforgettable picture book that is sure to spark creativity in anyone who reads it, young or old. A narrator invites readers to explore the make-believe world s/he dreams of every night, "places that will surprise and inspire you." While the text isn't quite as vibrant and fanciful as de Lima's illustrations, it does provide thought provoking descriptions and explanations of the curiosities on each page that will add to the enjoyment. In the Jungle of Changing Spots, animals change their coats every time someone sneezes. 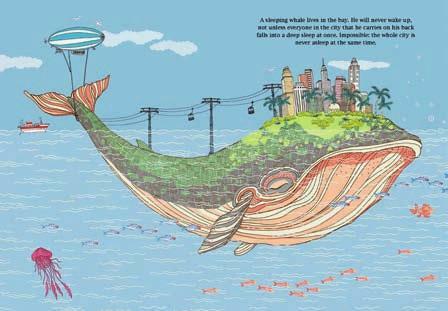 The Sleeping Whale will never wake up, not until, "all the city's inhabitants fall into a deep sleep on his back at the same time." But not to worry, no city is ever completely asleep. 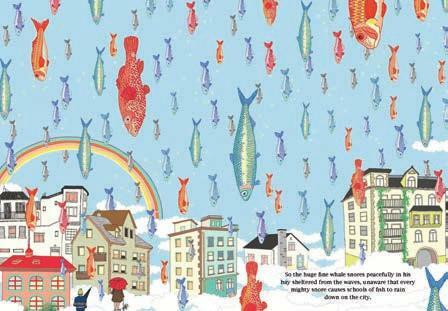 And, while the whale sleeps, his snores cause, "heaps of fish to rain down on the city." 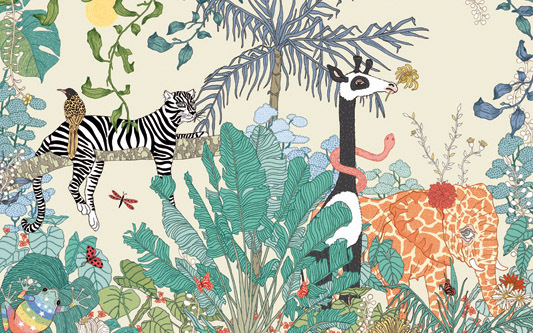 I especially love the color and curiosity of this illustration. Then there is the strange forest where, "giant waves created by the winter wind have washed countless sea creatures into the trees." Because winters have been especially hard lately, the sea creatures have learned to live in the trees. The Labyrinth of Dreams (called the Labyrinth of Desires in the endpapers) is definitely one of the most creatively inspiring illustrations, if not the best named. 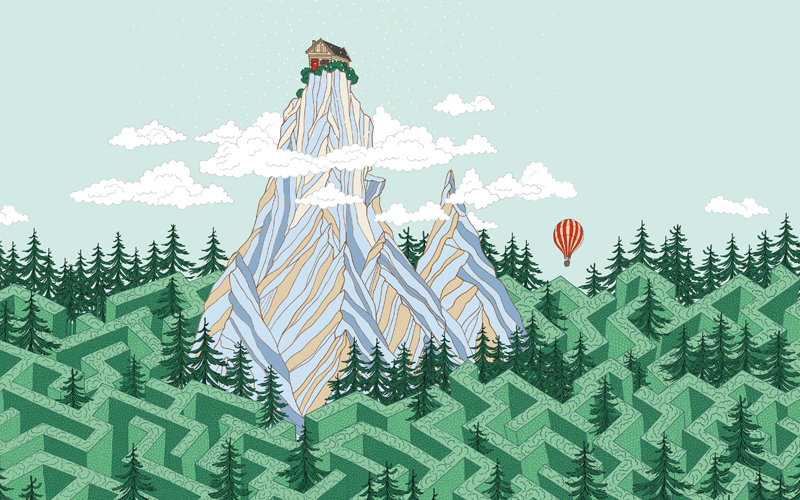 If you wander the labyrinth and make it to the mountain, then climb to the summit, you get to live in the cabin and wish for whatever you want. 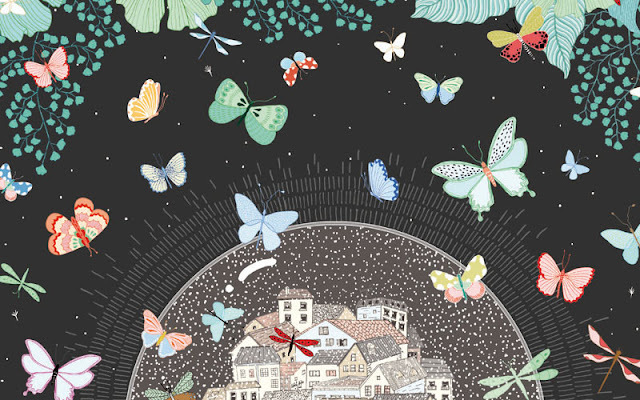 My imagination goes to other places when I look at this illustration, but that's the beauty of this book! 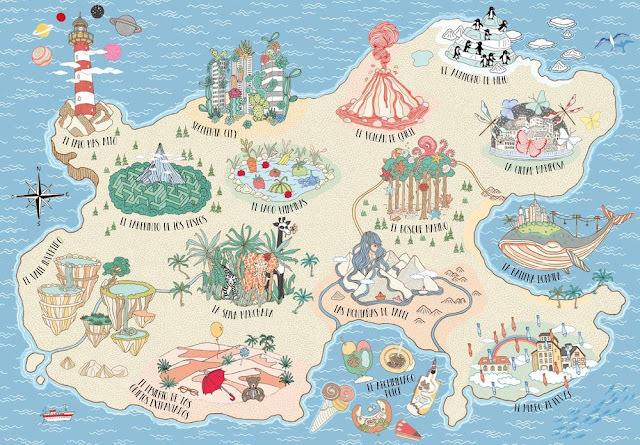 With An Atlas of Imaginary Places, you can go wherever you want to!